Learn how to prevent a dryer vent fire. When it comes to laundry, most of us are all too familiar with the basic tips and tricks. Separate the whites from colors. Air-dry shrinkable garments. Tumble dry delicate garments on low heat. Clean the lint from the vent. Great! But, dryer vent fires are still all too common even when homeowners are attempting to follow the rules they’ve been using for years. So how can homeowners help prevent dryer vent fires once and for all? Here are some helpful tips and informative ideas that may change the way you do the laundry. While getting lint out of the dryer is important, there are still small bits of flammable lint that can get past the trap. This all too common phenomenon is what leads to hundreds of dryer vent fires every year. In fact, it may at first glance look like dryer vent fires just happen out of nowhere, but the reality is that there are some key early signs that may be able to tell you that your dryer vent is clogged. Some signs may include clothes that are painfully hot to the touch that end up taking a very long time to dry. However, other signs could be coming directly from your dryer itself. Ideally, you’ll want to examine your dryer if you think there is something out of whack. If your dryer seems to be hot on the outside, shuts off before the entire cycle is complete, or the flapper on the vents hood just won’t open when the dryer is on, then you could have some major issues with your dryer vent- it is most likely clogged. The Warning Signs Are There, Now What? While it may be counterintuitive, you need to not do anything drastic. In fact, never try to solve this type of problem on your own. It is always best to leave these kinds of things to professionals. 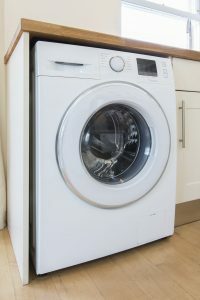 Unless you happen to be specially trained in dryer maintenance, you’ll really want to avoid fixing the problem by yourself because ultimately you could end up causing a lot more harm than good. This entry was posted on Friday, July 20th, 2018 at 12:34 pm. Both comments and pings are currently closed.